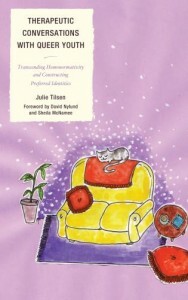 This is the first therapy book that focuses on clinical work with youth who construct queer identities (as differentiated from essentialized gay or lesbian identities). 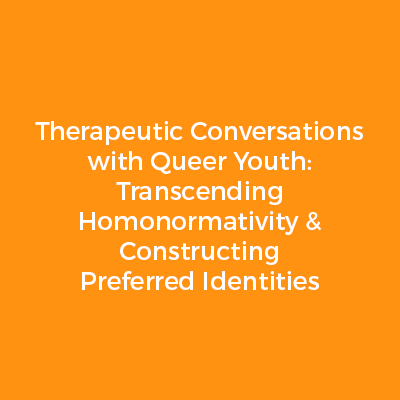 It’s also the first practice-based book that draws on queer theory, constructionist philosophy, and cultural studies to inform and guide therapeutic work with queer youth. As such, it offers fresh, critical, and hopeful resources for therapists committed to culturally responsive work with youth. It also helps to make ideas from queer theory and cultural studies accessible to clinicians and widely applicable in therapeutic practice.